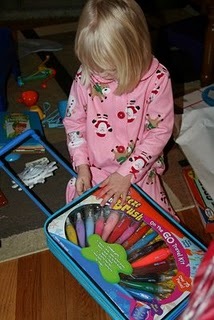 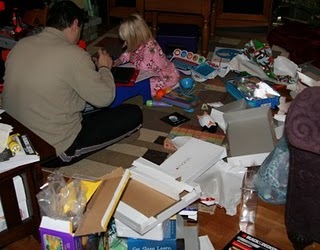 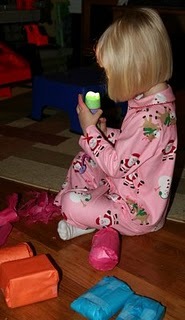 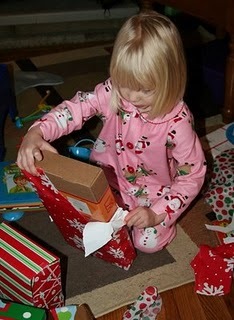 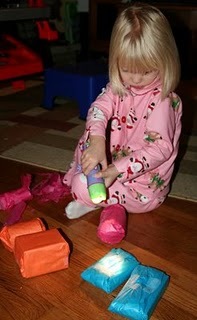 After Juliana was in bed Wedenesday night, we assembled the Santa presents for the morning. 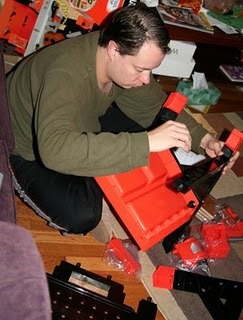 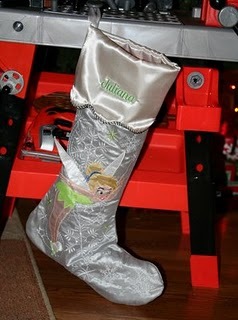 Scott assembled the work bench and I filled her stocking. 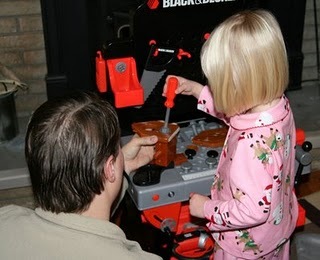 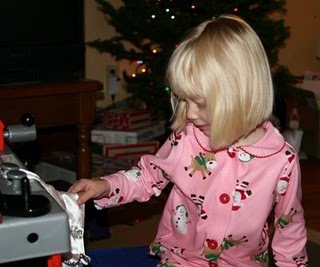 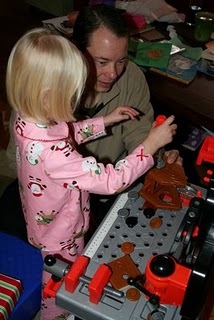 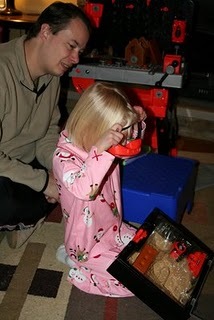 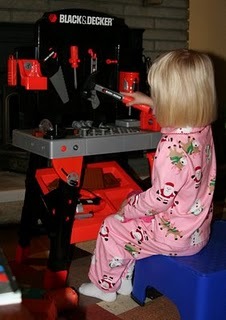 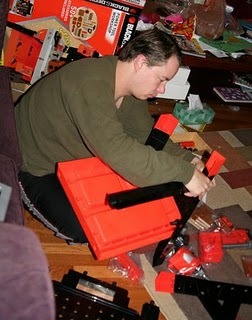 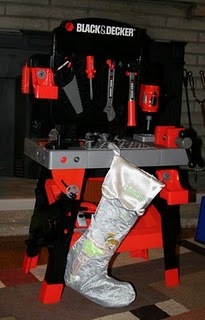 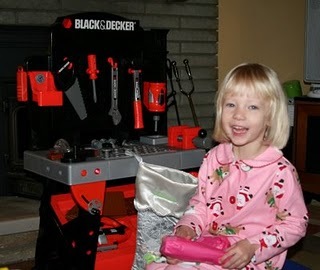 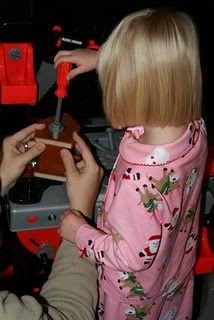 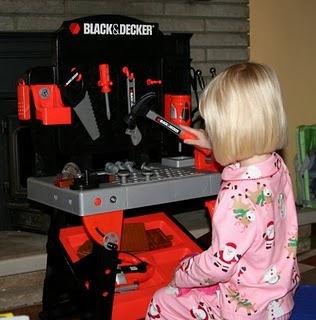 When she came downstairs in the morning she was excited to see the work bench and find presents in her stocking. 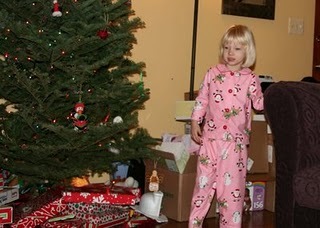 She spent quite some time with those surprises and we had to coax her into opening the presents from under the tree. 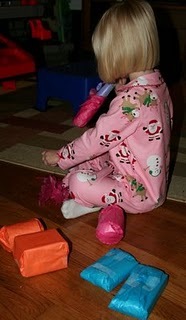 Eventually everything was open and she was happy to play with her new things.